Jodi’s first book ‘From Detached Concern to Empathy: Humanizing Medical Practice’ was called described as seminal work by the Journal of the American Medical Association. Her new book project ‘Engineering Empathy’ looks at the use of technology in emotional relationships, including using artificial intelligence/robotics in caregiving (e.g. eldercare and childcare), the influence of virtual reality (VR) and augmented reality (AR) on empathy, and the influence of gaming on mental health. Jodi presented this work at the 2018 meeting of the World Economic Forum in Switzerland and at the 2018 Herrenhausen Conference on Translational Neuroscience in Germany. She is currently attending the World Economic Forum in Dubai as part of a 20 member international leadership team discussing the implications of the increasing use VR and AR healthcare. 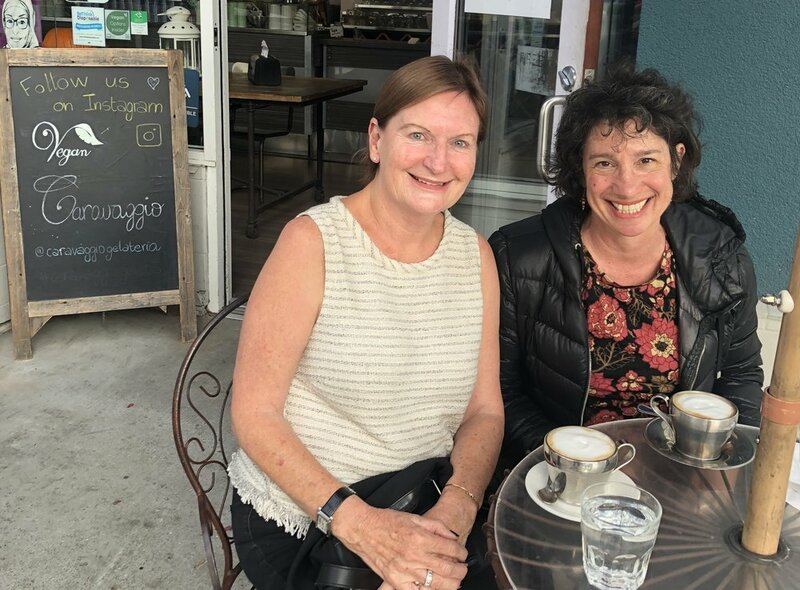 Jodi is hoping to visit us at UTS in March 2019 and our shared synergies has prompted interest in Berkeley joining UTS, Oxford and Stanford in the development of our international empathy research collaboration. I met Jodi while undertaking my sabbatical in California, where I am participating in an 8-week Compassion Cultivation Training (CCT) course at Stanford University in Palo Alto. This amazing course, which I feel so privileged to be able to attend, is not intended to teach us how to be compassionate but rather to enhance our inherent quality of compassion as a response to the challenges and everyday stress that leads to human suffering – for others (including patients) and for ourselves. The course includes lectures, experiential exercises, guided meditations and discussions, all supported by wonderful course resources, readings, videos and ‘homework’ challenges. The course curricula was prepared by the Dalai Lama’s English translator, Thupten Jinpa, who also wrote the course textbook ‘A Fearless Heart’ authored by Thupten Jinpa.